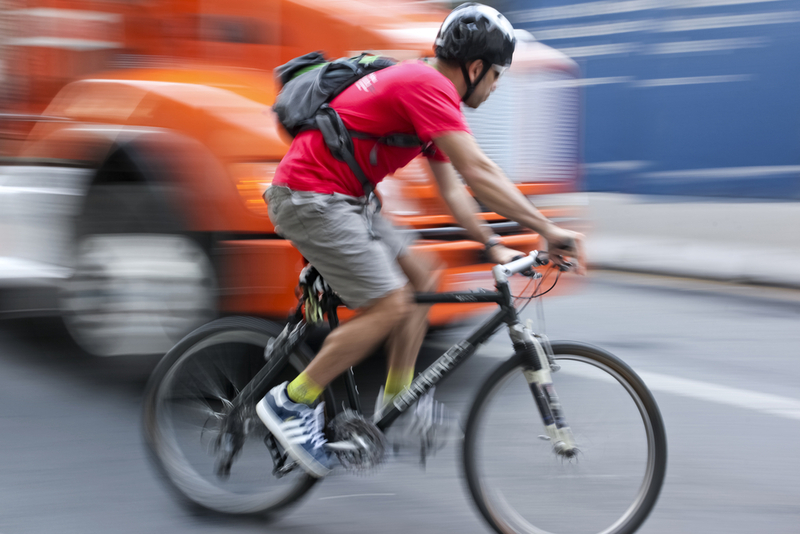 Bicycle riders know about these hazards all too well, but many other people are unfamiliar with these specific issues. Thus, the best case scenario is to find a bicycle accident attorney who is also a cyclist. Most importantly, you need to be taken care of. Bicycle crash injuries can be devastating. Open wounds are common and need acute care at an emergency room or urgent care. These injuries also need follow up with a wound care medical expert to avoid infection and minimize permanent scarring. A good bicycle accident attorney knows the best wound repair doctors for you to see; and can work out a lien for payment if you don’t have health insurance or sufficient money to pay for the treatment, deductible, or co-payment. Same for broken bones and fractures, a lawyer should be able to help you get the x-rays, MRIs, and nerve conduction tests that are necessary to fully evaluate your injuries. The emergency room will just stabilize you, they may not find injuries that could cause chronic life long disability. Another injury that is often missed, but equally devastating, is Traumatic Brain Injury (TBI). TBI needs to be explored whenever there is any head impact, damage to helmet, loss of consciousness, or even altered consciousness after a bicycle crash. The ER will often run a CT Scan or CAT scan if there is any indication of a head injury. But the CAT scan usually misses evidence of a traumatic brain injury. Symptoms can include changes in personality, depression, anxiety, headaches, and other ailments that can mimic a concussion. Insurance companies will talk about a mild traumatic brain injury, but really there is no such thing. This injury can be Life Altering. These symptoms need to be checked out by a neurologist that specializes in traumatic brain injuries, also known as TBI. An experienced bicycle attorney will know these specialists and can get you an appointment. The diagnosis will usually require a highly specialized MRI, with special software to detect problems in the brain. Very few MRI clinics, even in Los Angeles, have this highly specialized technology. An experienced bicycle accident attorney also has the tools to investigate and build your case. Witness statements can be critical to prove liability, and you can’t necessarily wait for and rely on a police report. The best bicycle accident attorney will have private investigators ready to locate and get recorded statements, under oath, from all witnesses. Finally, a top bicycle accident attorney will know about your bike and the unique repair and replacement issues and costs. Road bikes and fixies are often expensive with specialized parts. Similarly, bicycle riders often carry their cell phones, laptops and other equipment in backpacks. These costly items of personal property are often destroyed or substantially damaged in the bicycle crash. These items may be covered by loss and damage insurance depending on what credit card you used to purchase the item. An experienced bicycle accident attorney will know how to get you fully reimbursed for your bicycle damage and personal property losses. Follow the rules of the road described in the California Vehicle Code and use the required equipment, including helmet, lighting, reflectors, proper brakes, legal handlebars and seat, etc. However, you may be entitled to compensation for your injuries even if you did not follow all the rules. Contact an experienced bicycle accident attorney if you are in a bicycle accident crash.